This five part Series is an attempt at bridging the abstract and the real by playing with perception and memory. Signs and symbols are simplified representations of human experience created specially to convey complex information. Early attempts at writing were iconomatic, which was the intermediary between picture writing and phonetic writing. 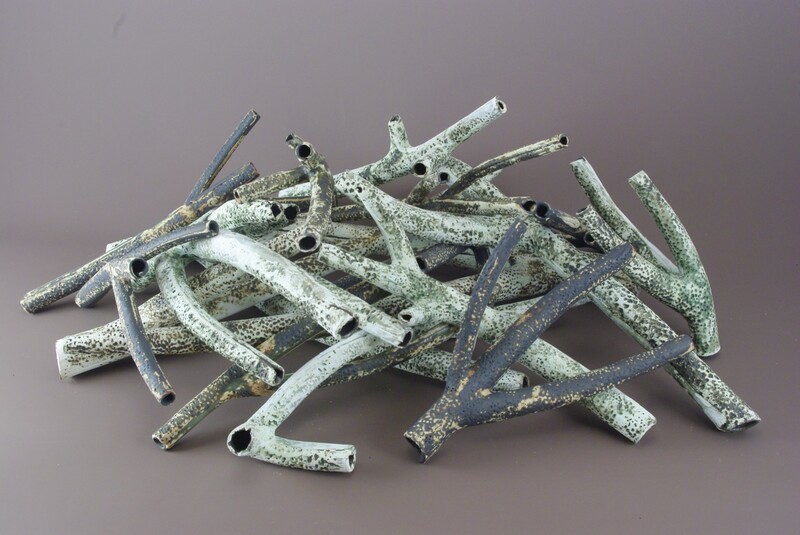 In this piece the ceramic object becomes symbol, and when presented in a linear way, the symbols read as a form of language. Using adapted ‘earth’ symbols this personal vocabulary is addressing a universal constant; our Relation to the earth and it’s future.